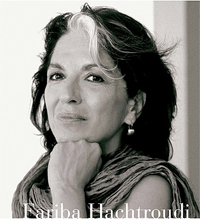 Recent French resident, writer Fariba Hachtroudi, was interviewed on Access Radio and is part of the 2010 Writers and Readers Week in Wellington. 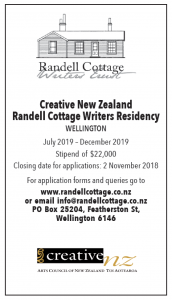 French Iranian writer-in-residence at Randell Cottage, Fariba Hachtroudi, speaks on National Radio with Kim Hill. Listen here. And she spoke and read from her work at a PEN press conference on Iran, in February at Bats Theatre, Wellington, and was joined by other writers and politicians. Fariba and Lilburn House composer-in-residence John Rae collaborated on a piece of music which premiered at the event. The previous New Zealand writer at the cottage, Kirsty Gunn, talked about the musicality in the works of Katherine Mansfield at the Oxford Literary Festival. This entry was posted in Writers and tagged Events, Hachtroudi, interviews. Bookmark the permalink.